My bars are partially organic. 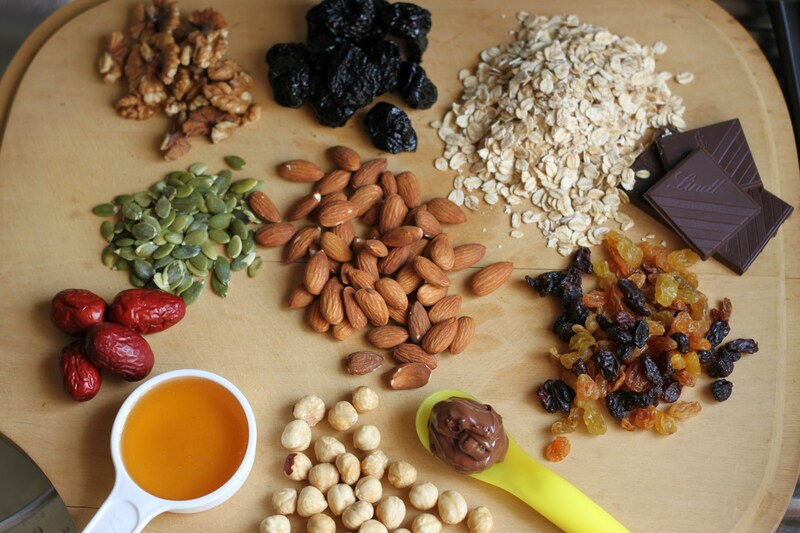 The dried fruits and nuts that I’ve used are, so I suppose that counts? 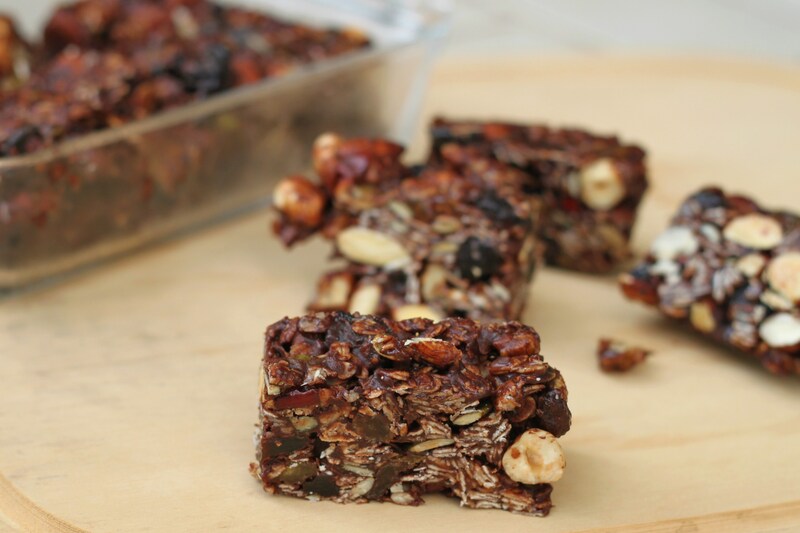 After all, making your own bars is so much healthier than store-bought ones. I cannot emphasize this enough. Don’t be fooled. 1. Line an 8 x 6 inch pan with aluminum foil and lightly butter the foil. Set aside. 2. 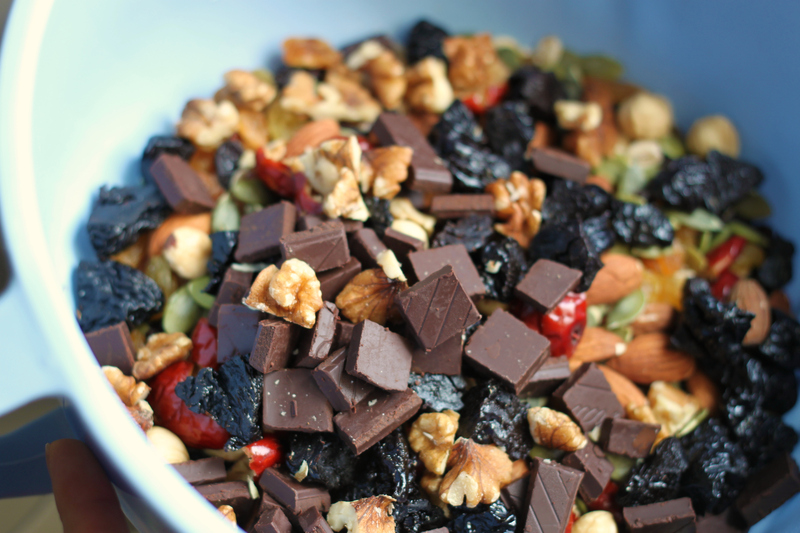 In a large mixing bowl, mix together the rolled oats, dried fruit, nuts, seeds and chocolate. Set aside. 3. In a small saucepan, heat the butter, brown sugar, honey and Nutella over medium heat. Using a wooden spatula, whisk the mixture until the butter melts and a smooth consistency is achieved. 4. Remove the saucepan from the fire and pour the Nutella mixture over the oats mixture. Stir until the oats mixture is completely coated; the dark chocolate should start to melt at this point and the smell would be an indication. 5. Transfer the mixture to the lined pan, spreading it out evenly. Press the mixture firmly down to pack the ingredients together. Lightly sprinkle salt on top. 6. Place the pan into the refridgerator and chill for about an hour until firm. 7. 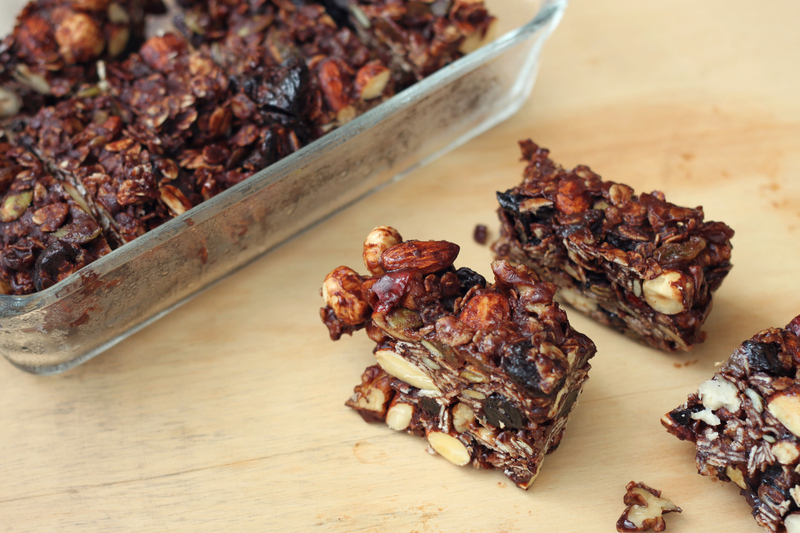 Once firm, use the foil to lift out of the pan and cut into bars of desired thickness. Enjoy!